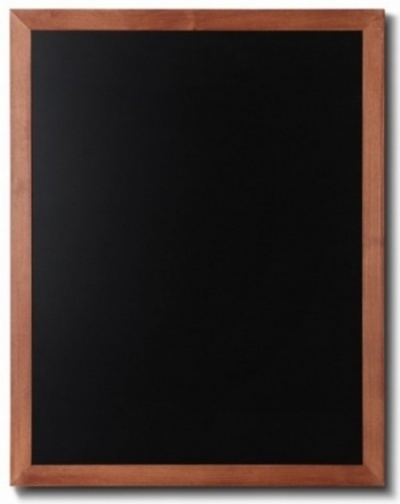 Available in a range of 11 standard sizes these stylish Chalkboards feature a 40mm Hardwood frame which is available in a matt stained Teak Finish. 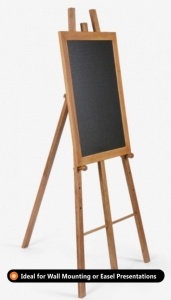 The 10mm laminate Chalkboard is suitable for Liquid Chalk Pens or Natural Chalk. 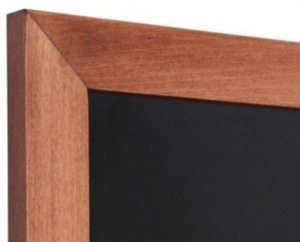 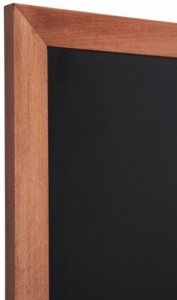 This range of Chalkboard is used widely for wall mounting or for Easel Presentations.